Ultra-high Capacity: With 2.6L tank capacity, this ultrasonic humidifier can run up to 6 hours at maximum output setting (24 hours at minimum output setting) after refilling. Adjustable Mist Spray: This personal humidifier provides 24 speed settings to adjust mist spray. You can easily adjust the mist mode according to your needs. Tender 7 changing LED Lights: Ideal cool mist humidifier for creating warm ambiance, decorating and illuminating your room or office. AUTO Shut-off: This humidifier automatically stops working when water used up, which ensures safety and energy-saving. No worries when you walk away or fall asleep. 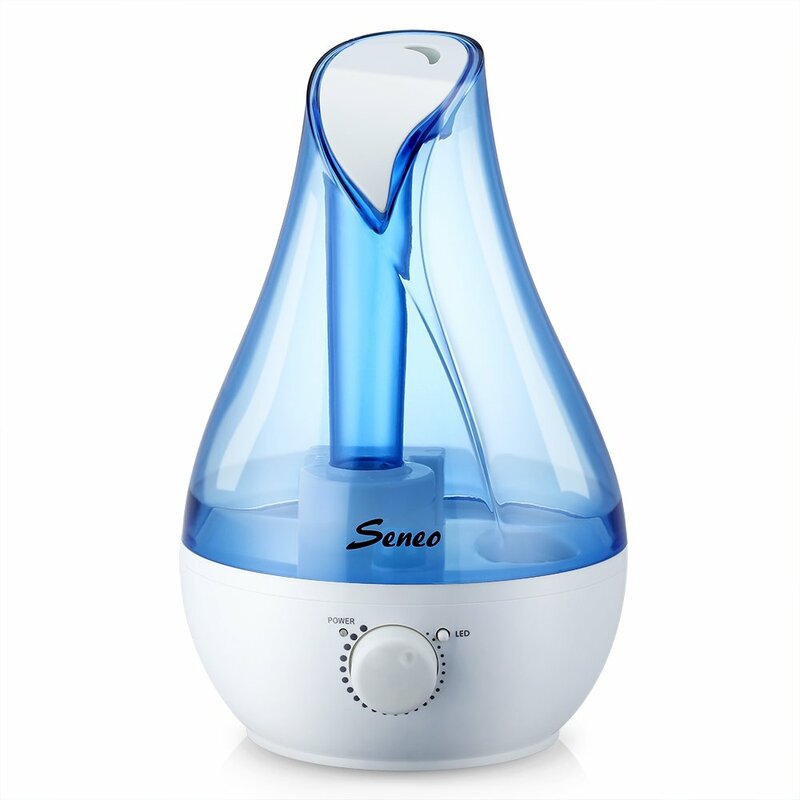 Moisturize the Air: Powerful Ultrasonic Technology provides comfortable cool humidifying mist. This humidifier will help you sleep better, cough less, alleviate dry sinuses and breathing nature.